Across his fifty year journey as an illustrator, Jerry Pinkney (b.1939) has cast a warm, curious eye on our world to create transcendent images that reflect his passion for life, his love of family and community, and his deep and abiding engagement with the rich complexities of history. 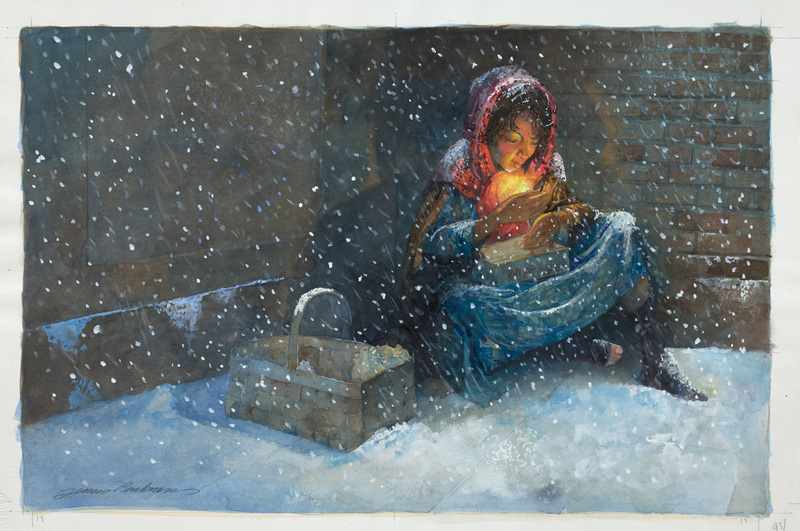 A master watercolorist with a distinct personal message to convey, he reminds us that no act of kindness, however small, is ever wasted, in elegant images that celebrate life's small but extraordinary moments, the wonders of classic literature, and the wisdom of those who have gone before us. Initially created for the covers and pages of periodicals, postage stamps, greeting cards, product advertisements, and well-traveled historic sites rather than the walls of galleries and museums, Pinkney’s artworks have also appeared in more than one hundred illustrated books, garnering well-deserved acclaim. Jerry Pinkney’s icons of living culture have, since 1960, been an important part of the American visual landscape. Created for the covers and pages of periodicals and picture books, postage stamps, greeting cards, advertisements, and well-traveled historic sites, his art is intimately encountered by a vast and eager audience seeking meaning in the stories he has chosen to tell. Intricately conceived, his narratives imbue ordinary activities with a sense of historical importance, and his exquisite characters and meticulously researched details inspire belief by millions in the vision that he continues to refine. Born on December 22, 1939, and raised in Philadelphia, Pennsylvania, Pinkney never imagined that a career in art might be possible. In his modest but loving home, his creativity was encouraged by his mother Willie Mae, a homemaker, and his father James, a craftsman with a flair for style. “I was drawing to learn,” Pinkney later reflected, “but no one was able to point me to a way of making a living in art.” At home, storytelling was treasured oral tradition. Pinkney’s parents, who migrated from the South, retold classic folk tales in rhythmic cadences that captured his imagination, providing a sense of cultural belonging. The legend of John Henry, the adventures of Uncle Remus, and The Ugly Duckling, all illustrated by the artist later in life, were among his favorites. While working at a local newspaper stand, sketching whenever he could, Pinkney met cartoonist John J. Liney—known for his work on the comic strip, Henry—who offered a glimpse into the professional world of art. At Dobbins Vocational High School, Pinkney immersed himself in the commercial art program, taking courses in calligraphy, drafting, and graphic design, and drawing regularly from a live model. Determined to succeed, he entered the Philadelphia School of Art as a design student and scholarship recipient, the first in his family to achieve higher education. Taking his first professional step in 1960, at The Rust Craft Greeting Card Company in Dedham, Massachusetts, Pinkney entered the field a designer with an emerging interest in the art of illustration. Boston’s publishing industry proved supportive of his work, and in 1964, while at Barker-Black Studio, he produced The Adventures of Spider: West African Folk Tales by Joyce Cooper Arkhurst—the first of more than one hundred picture books to come. As co-founder of Kaleidoscope, an independent art studio, Pinkney deepened his commitment to illustration, and in 1965, made the bold decision to launch a career as a freelance artist. As he and wife Gloria Jean Pinkney raised their young family, opportunities to create culturally-themed picture books emerged. During the 1960s, the unwritten mid-century conventions that avoided depictions of ethnicity in published art began to fall away, inspired by the demand for more inclusive representations. Pinkney’s art reflected his own compassionate nature, and his desire to be “a strong role model for my family and other African Americans” was becoming a reality. By the time he moved to the New York area in 1970, he had already received professional accolades and public recognition. Book publishers engaged him to illustrate stories inspired by the realities of the African American experience, and corporations offered high-profile commissions, carrying historical conscience more deeply into popular culture. A lover of music—from jazz and blues to classical—Pinkney enjoyed the chance to illustrate album covers for RCA Records, and calendars honoring jazz greats of the Harlem Renaissance for Smirnoff. Distributed widely by Seagram Distillers in the mid-1970s, African American Journey to Freedom looks back on history, from the Great Migration to the Voting Rights Act of 1965—a series of thirty-five paintings that are now in the collection of the Schomburg Center for Research in Black Culture. Family loomed large in Pinkney’s important mid-career works that opened a window onto the everyday lives of African Americans. Pivotal were his 1985 illustrations for The Patchwork Quilt, Valerie Flournoy’s reflection on the intergenerational bonds within an African American family. The book’s appearance on PBS television’s “Reading Rainbow” brought its message to a broad audience, and signified success. Pinkney’s warm, humanizing portrayals of people from the past in books like Back Home and The Sunday Outing, written by Gloria Jean Pinkney, were replete with images recalled from childhood, establishing a positive, empathetic view. In 1987, an enduring collaboration was launched when Pinkney was invited to illustrate The Tales of Uncle Remus, retold by author Julius Lester. Working to capture the spirit of these stories, Pinkney and Lester left stereotypes behind, and explored new cultural narratives. 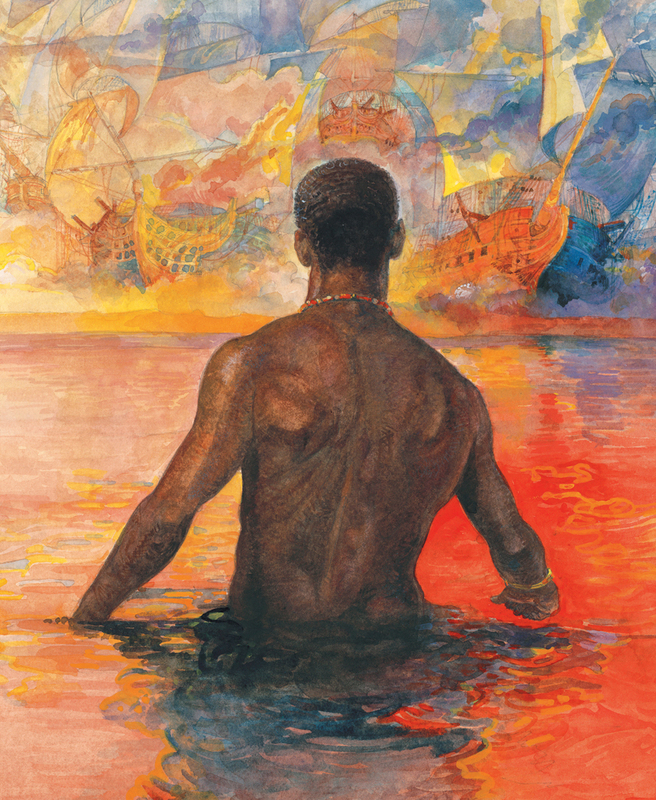 John Henry offered the opportunity, in 1994, to “create an African American hero that would inspire all.” Familiar, too, was the story of Ybo Landing, the subject of Lester's masterpiece, The Old African, a stirring legend infused with magical realism, brought to life by the artist in 2005. Published in 1998, Black Cowboys, Wild Horses: A True Story shed light on the contributions of people of color on the frontier. The artist's dynamic, textural paintings provide sensory depictions of Bob Lemmons’ struggle and triumph over the unforgiving plains. “As a boy growing up in the 1940s, Westerns were huge,” remembered the artist. “I found out later that many cowboys were black and Mexican, as were stagecoach drivers, saloon proprietors, laborers, and explorers.” In other books like Minty: A Story of Young Harriet Tubman by Alan Schroeder, Pinkney pieced together historical facts to construct visual realities—a skill that he has brought to several site-specific commissions. In 2008, he gave voice to documented northern slaves in a series of powerful works for the African American Burial Ground Interpretive Center in New York. “My role was to individualize the people who were buried there,” he said, “to give a face to history.” Installations for the National Park Service at Arlington House, the Booker T. Washington National Historic Site, and the George Washington Carver National Monument, are stunning recreations based in fact. 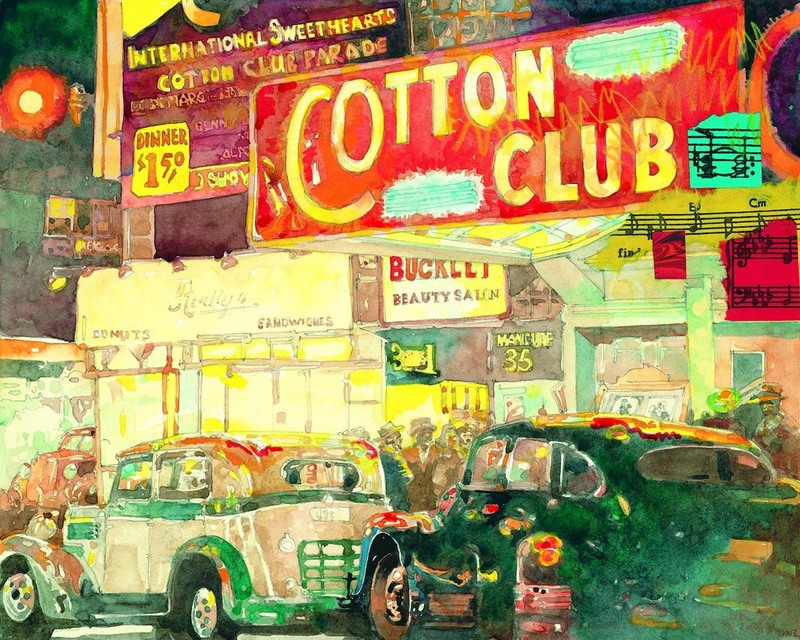 The recipient of the 2010 Caldecott Medal, as well as five Caldecott Honor Medals, five Coretta Scott King Awards, and four Coretta Scott King Honor Awards, Pinkney has received many commendations for his outstanding body of work, including The Original Art Lifetime Achievement Award from the Society of Illustrators, in 2006. Always wishing to give back, he served on the United States Postal Service Citizens Stamp Advisory Committee for ten years, from 1982 to 1992, and in 2003 was appointed to the National Council on the Arts/NEA, where he became an influential advocate for arts funding. 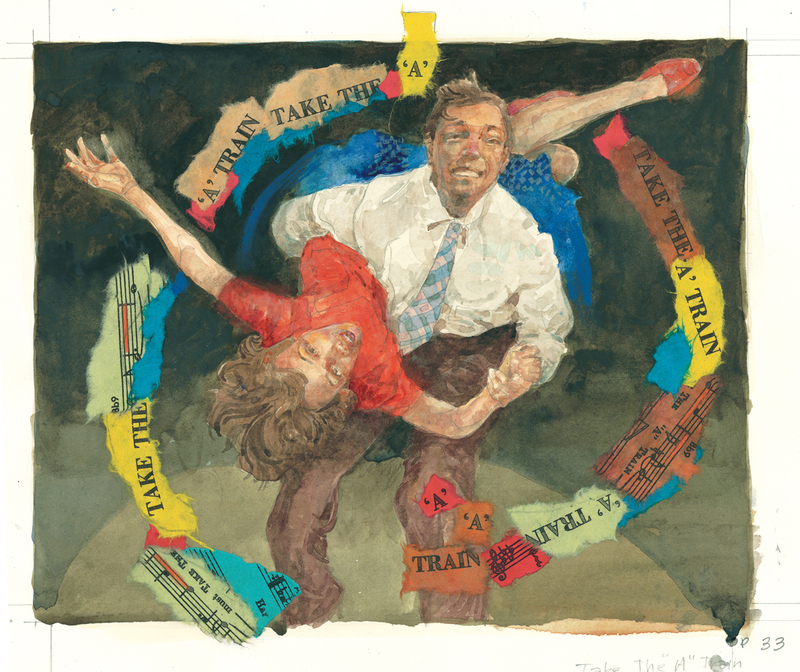 “I am a storyteller at heart,” Jerry Pinkney reminds us after a half century of image making. “There is something special about knowing that your stories can alter the way people see the world, and their place within it.” Always rooting for the underdog, he continues to make images that bear witness to an underlying belief that all things are possible. Reaching beyond their aesthetic and conceptual underpinnings, his vibrant illustrations reveal larger truths about who we are and who we might become. Lester, Julius and Jerry Pinkney. Black Cowboy, Wild Horses. New York: Dial Books, 1998. Lester, Julius and Jerry Pinkney. John Henry. New York: Scholastic, 1995. Lester, Julius and Jerry Pinkney. The Tales of Uncle Remus: The Adventures of Brer Rabbit. New York: Dial Books, 1987. Pinkney, Jerry. The Lion & the Mouse. New York: Little, Brown and Company Books for Young Readers, 2009. Pinkney, Jerry. Noah's Ark. San Francisco, CA: Chronicle Books, 2002. Pinkney, Jerry. The Three Billy Goats Gruff. New York: Little, Brown and Company, 2017. Plunkett, Stephanie. 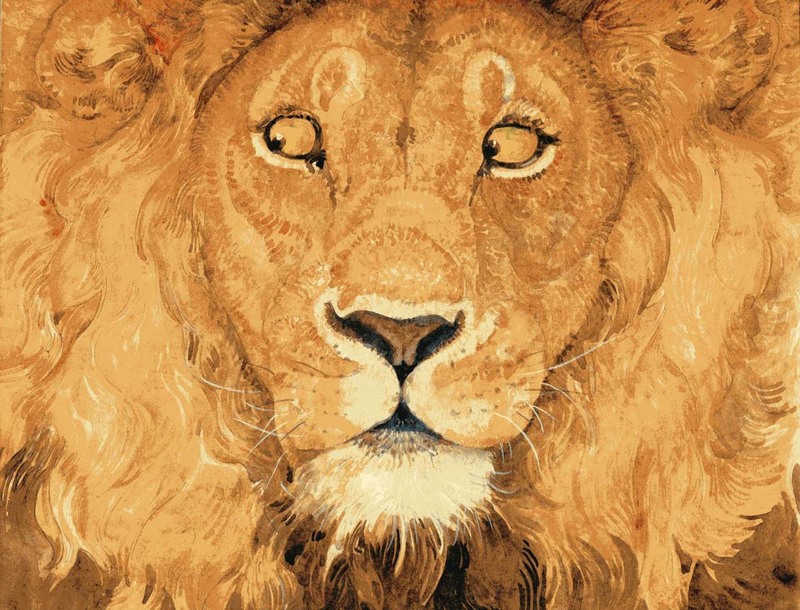 Witness: The Art of Jerry Pinkney. Stockbridge, MA: Norman Rockwell Museum, 2010. Taylor, Jane and Jerry Pinkney. Twinkle, Twinkle, Little Star. New York: Little, Brown and Company, 2011.